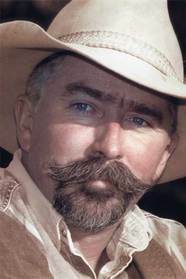 A native of Texas, Mike Blakely grew up working on the family ranch. He is a veteran of the United States Air Force and holds a Bachelor of Journalism degree from the University of Texas at Austin. He is the former president of Western Writers of America and has taught fiction writing at numerous workshops nationwide. His novel Summer of Pearls is the 2001 winner of the Spur Award for Best Western Novel. Also a singer/songwriter, Blakely tours all over the U.S. and in Europe with his band and records his original songs on his own independent record label. He currently lives on his horse ranch near Marble Falls, Texas. A Song to Die For is a rousing tale mixing love, music, and mystery from Spur Award-winning author Mike Blakely. Country music legend Kenny Rogers teams up with Spur Award–winning author Mike Blakely for a rousing tale set in the heyday of Nashville in What Are the Chances. It's 1975, and Ronnie Breed's chart-topping rock band has just self-destructed in a recording studio fistfight. Ronnie makes a bold decision—return home to Texas and reinvent himself as a solo act. Enter Dan Campbell, Ronnie's cousin, who recruits Ronnie for a new kind of venture. Dan, who always had a penchant for wild schemes, wants to televise a Texas Hold 'Em tournament…and Ronnie could never say no to his cousin Dan. As celebrity spokesman for the poker tournament, Ronnie soon finds himself recruiting world-class gamblers in illegal card games while trying to put together a new country band and win a Nashville recording contract—not to mention trying to avoid falling head-over-heels in love with his new manager, Dorothy. But when things start to get weird—hidden cameras, secret high-stakes side-bets, a visit from the FBI—it seems that Dan's poker tournament may be a façade for something much bigger and much more dangerous. Ronnie begins to wonder if he will end up with the girl of his dreams in the Country Music Hall of Fame, or broke and lonely in some prison cell. What are the chances?